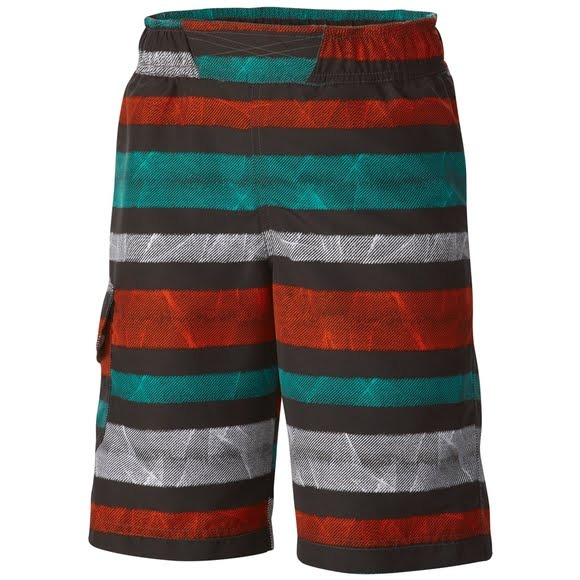 A classic Columbia boardshort with built-in sun protection, this comfortable, quick-drying boy's swim trunk is built for fun on land and water alike. It comes in a lively array of colors and prints, with an interior mesh brief for comfort and security. A classic Columbia boardshort with built-in sun protection, this comfortable, quick-drying boy&apos;s swim trunk is built for fun on land and water alike. It comes in a lively array of colors and prints, with an interior mesh brief for comfort and security.